Congrats to Yvette, who won Love Comes Around (Senses #4) by Andrew Grey! Love Comes Around is being released today by Dreamspinner Press. Becky Black with pointers for authors to safely navigate Goodreads. “The curious case of Ellora’s Cave“. Things you might not know about Slaughterhouse-Five. Harry Potter compacted into a single (large) comic strip. 35 jobs that aren’t around anymore. Hopefully you’ve all configured your phones so your photos won’t give away your location. The setup for this What If? is pretty complicated, so I’ll go with “Balloon Car”, too. Mexican chocolate and almond ice cream. No-bake coconut raisin oat crunch bars. Crayon sculptures of famous characters and people. Short film with a cat in a spacesuit, plus alien bees. Charging cable with built-in Christmas lights. Guardians of the Galaxy with cats. Thieves in Lichtenstein stole 1.4 tons of listeria-contaminated cheese. Mitten flask – three whole ounces! Sesame Street Star Wars parody. How Canadians see the US and Canada. Tiger! Kitten! Kitten! Baby red pandas! Kitten! Tiger and baby! Red panda and baby! Koalas and babies! 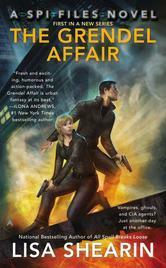 The Grendel Affair (SPI Files #1) by Lisa Shearin. Ok paranormal romance about a seer who works for a secret non-government agency devoted to keeping the existence of the magical world secret. Since I never got invested in the POV character, I don’t believe I’ll be reading more of this series. 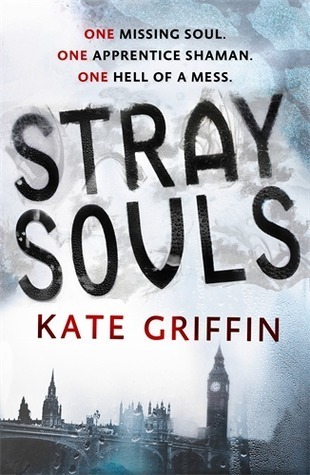 Stray Souls (Magicals Anonymous #1) by Kate Griffin. Good urban fantasy about a London barista who discovers she’s a shaman and somehow has to rescue the missing spirit of the city. I enjoyed the unusual premise, but struggled a bit with the style – although that got better as I became more used to it. Plus I think this could’ve been trimmed down a bit, as bits of the middle seemed to drag. The Devil You Know (Felix Castor #1) by Mike Carey. Good London-based urban fantasy about an exorcist who’s been on hiatus but takes an innocuous sounding job because he desperately needs money. I tried reading this 18 months ago and quit at 1/3 because I couldn’t get into it – no such problem this time! 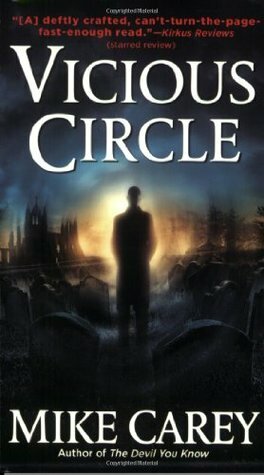 Vicious Circle (Felix Castor #2) by Mike Carey. Good continuation of this urban fantasy series as Felix tries to do right, but things get terribly screwed up in the process. 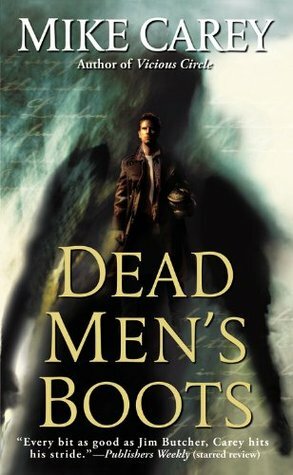 Dead Men’s Boots (Felix Castor #3) by Mike Carey. Good continuation of this series in which Felix finds himself helping the widow of another exorcist, who killed himself. Of course, nothing’s as it seems and everything gets much more complicated. I did catch a couple of continuity errors, which I always find distracting. This picture requires a bit of explanation. 🙂 Mayhem’s side is in the foreground – you can kind of see one of her ears to the left of Chaos’ head, between his head and his tail. She’s sleeping with the top of her head smooshed up against Chaos. 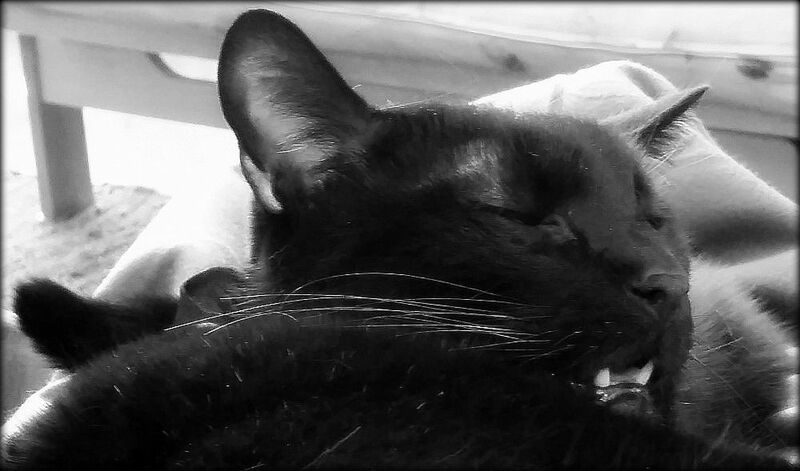 He started to hiss at her (I think she was making happy paws on his throat), but fell asleep mid-hiss. Posted by Chris on Friday, September 19th, 2014, at 2:00 am, and filed under Linkity linkity link, Reading, Reviewettes. Chris- It seems alot of those jobs that don’t exist were obsolete with the invention of sanitation and the toilet. Thomas Crapper- an unsung hero. Awww, this is the best kitty photo. Sleep on, kids. Oh dear. I’m in Canada’s “no” zone. Love that mirror wolf! And that spaceship size chart is fascinating. The Ellora’s Cave mess is really sad for the authors involved. tell us when the Christmas light charger is available if you see it. I know just the person. I love my present shopping via St over Ch. Off to order the D2 cake pan. I’m guessing you don’t like talk like a pirate day? And I love that Potter comic. Very fun!